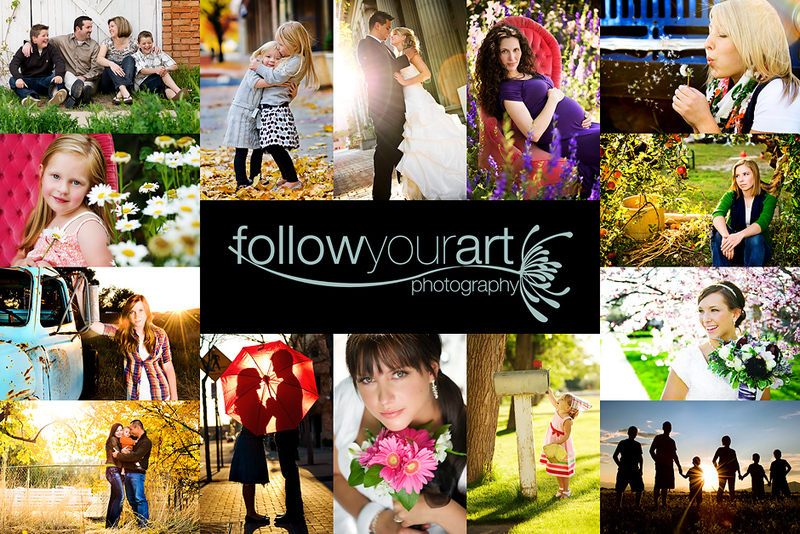 Follow Your Art Photography, Utah Baby, Child, Senior, Family Photography, photographer: Spring oh spring where art thou? Spring oh spring where art thou? I'm not sure about you, but I'm all done with winter!! Yep just pack up the snow and cold and send it away already. It's time for flip flops and capris, tulips and blossoms. I am OVER winter already!! Good news is my camera is back and I have a few sessions to come so I'll have some new posts soon. But for now I just wanted to share one pic. I was at Costco the other day with my little girl and we always stop to look and smell the flowers. 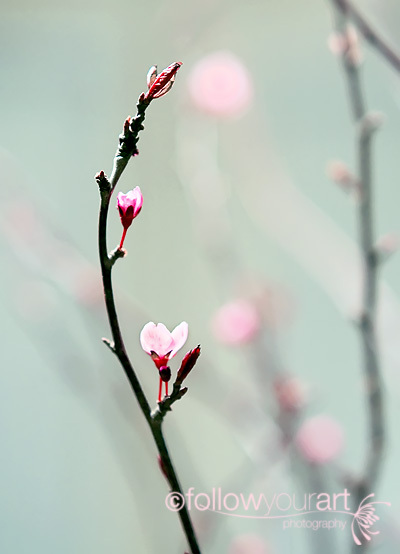 I saw the cute branches with little pink blossoms, yummy pink spring blossoms. I just had to have that little touch of spring in my house. I know that we still have a month or so before blossoms will start to bloom outside, but for now, I brought a little bit of spring home. Right there with you, itching for spring and glad to hear you camera is back! Jealous, we have months left of the white stuff!! Yay for the return of the camera! Yay, I'm sure you're thrilled to have your camera back. Can't wait to see some of your new sessions. I get withdrawl just like all your other fans. Can't wait to see your future posts! Great depth of field (bokeh). Yay!!! Another picture from you! What lense did you use to take this picture? It is GORGEOUS! oh my yes, I am ready for walk out side and immediately break into a sweat, shoes stick to the asphalt, and air too thick to breath in SUMMER!!! I hate being cold! Ready for spring too. Love the picture. I too am thinking like April. I can't stand cold weather. It's depressing to me.